Owning an age in place home carries many financial benefits, not the least of which is saving on exorbitant nursing home costs. There are multiple benefits to owning an age-in-place home in retirement. You can plan to live out your days in a comfortable, familiar environment. You can also stay in a cherished neighborhood with beloved friends, stores, restaurants, doctors, places of worship and perhaps relatives. 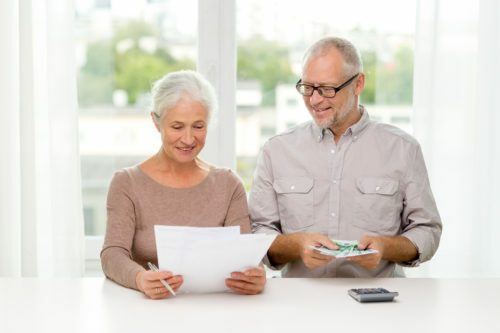 However, few people planning for retirement (or their advisers) recognize all the financial reasons why it is essential to living in an age-in-place home and why that home should ideally be owned free and clear. These reasons are so compelling that virtually all my retired friends (who have read my book) are now trying to buy homes or to modify their existing homes to enable them to age-in-place. Owning an accessible home in which we can age in place is important to keeping our future core expenses down for many reasons. First, and most obvious, owning a home outright in retirement greatly reduces our need for income since we no longer must pay the mortgage. A second major benefit of owning, outright, an age-in-place home is that it is a wonderful hedge against inflation. Staying at home can also reduce the need for increasingly expensive long-term care insurance whose maximum daily benefits are often just $150 or so, a fraction of nursing home costs, leaving patients and their families to make up the huge difference. A fourth advantage of owning outright an age-in-place home is that it can provide you with additional guaranteed lifetime income, through a reverse mortgage, while you continue to live in your own home. I got one for both of my over 70 parents. Easy to use and good customer service. Order Here I Think You’ll Love This Aging in Place Product! HUD.gov What is a Reverse Mortgage?